People can consider themselves the safest and most alert driver in the world but this means nothing if their field of vision is restricted, one expert has noted. Caroline Perry, marketing manager at Brake, a road safety charity, said that far too often people head out on the road with impaired vision because they have not undergone a recent eye test to determine whether they need correction. She explained: "Eyesight needs to be tested regularly throughout a driver"s lifetime. 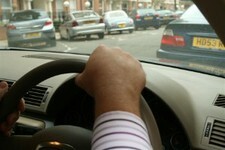 Being an experienced and skilled driver is meaningless if a driver is unable to spot hazards due to poor vision." Recently, the importance of regular trips to the optician was highlighted by Daska Barnett, an optometrist and founder of Specs of Kensington, who said that people who spend a lot of their time working in front of a computer should also have frequent eye tests.